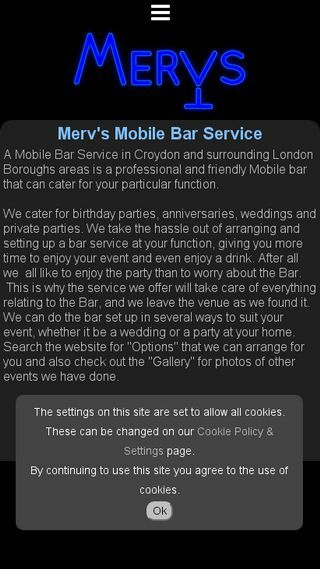 Merv's mobile bar service is an organisation based in Croydon, London. This is how we developed their website. 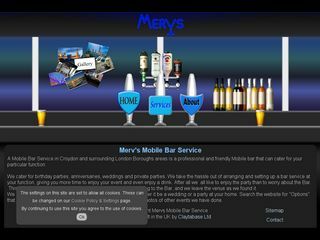 Mervs mobile bar service is a private organisation based in Croydon, London, that provides a host of mobile bar solutions for things like Christenings and weddings as well as the occasional Goan party. 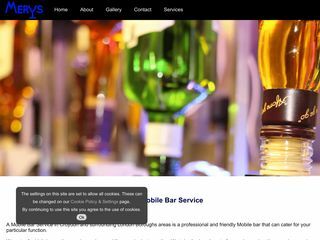 It features fully functional CMS built in meaning that when any update is required, the website can be updated by the owner, saving time and money. The website can be found on the following link. It was agreed that it should imitate the look and feel of a bar with the same kind of colour scheme. The image on the right is actually made of one tiled image for the background, and then fixed images for each of the other items. 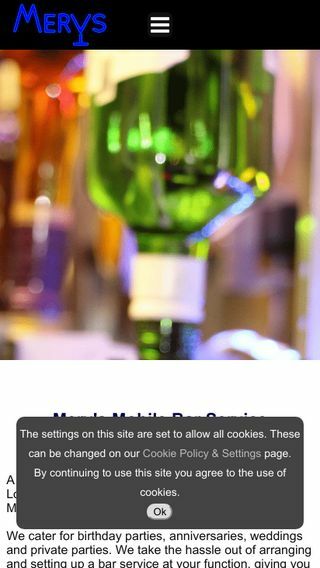 The menu items are fixed hyperlinks with an image as the inner html. CSS styling is then applied to turn off image borders and other options. 5 years after initial concept, our client wanted to go for a more professional look. While it was sad to see the old design go, we helped to create a modern looking and functional site.